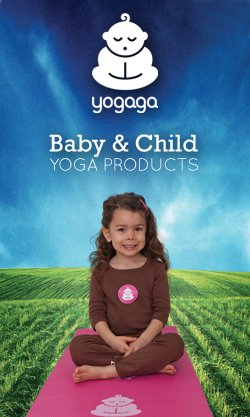 I was inspired by two things for this project. First, these adorable (but expensive!) 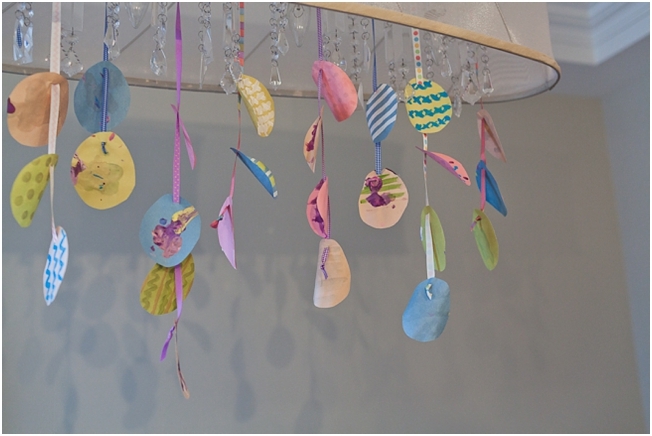 ceramic egg decorations I saw hanging on a chandelier in a store window. 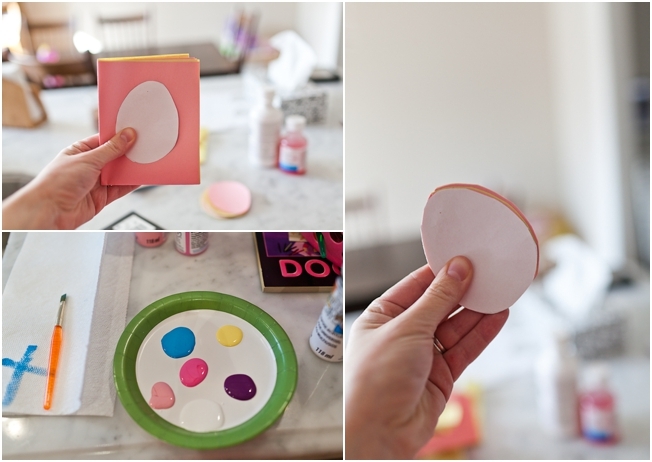 Second, I was in need of an Easter craft for Robin (my two-year old), and I didn’t want to spend any money. 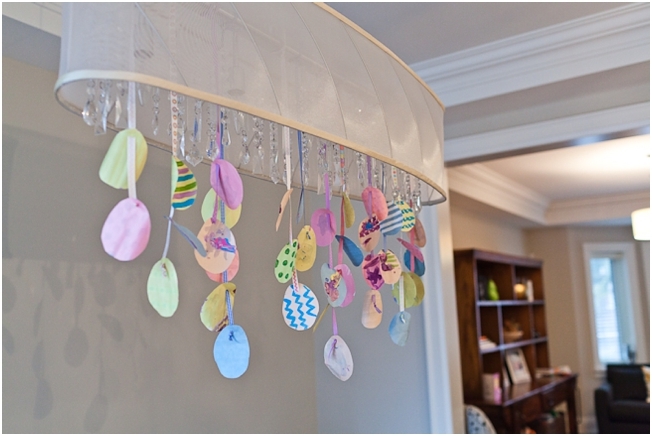 When I started out, I planned to use scrapbook paper and thread to create the hanging eggs. After realizing that my scrapbook paper was buried at the back of a closet with 4 heavy bins of clothes in front of it, I switched to the only other paper I had on hand — pastel coloured newsprint from the dollar store. 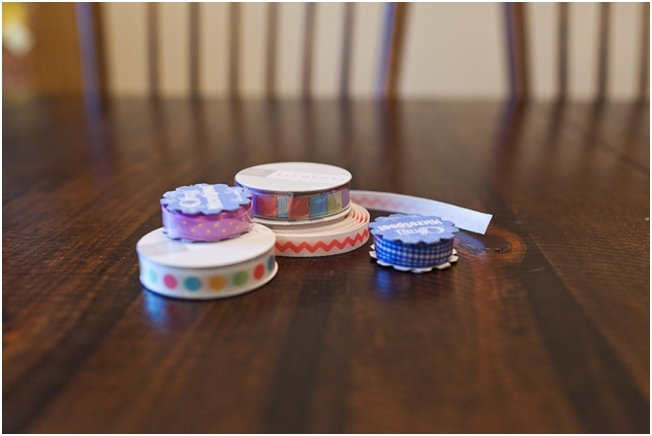 And after realizing that I do not own thread, I switched to ribbon (left over from… you guessed it, scrapbooking!). And it all worked out perfectly in the end. 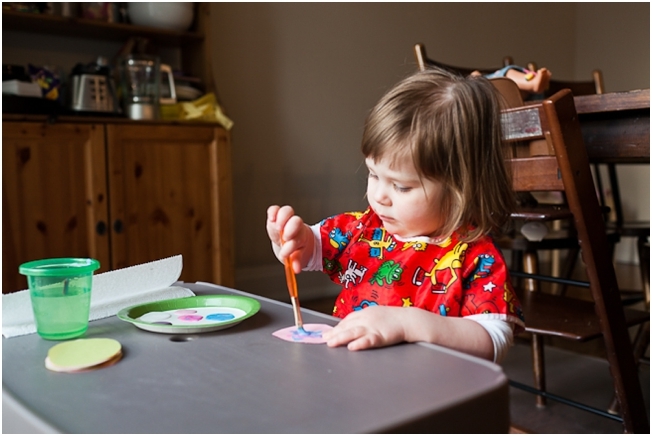 The point being, you could use anything and everything for a project like this and adjust it based on your child’s age and skill level…so get creative! – Ribbon (or thread, string or yarn). All of my ribbon came from the dollar store or Michaels. – Paint (or markers, sparkles, etc.) I used acrylic paint from the dollar store. Step 2: Use egg template to cut out all of your eggs. The paper I used was thin enough that I could stack 4 sheets together, fold them into 4 squares and cut, thus producing 16 eggs at time. 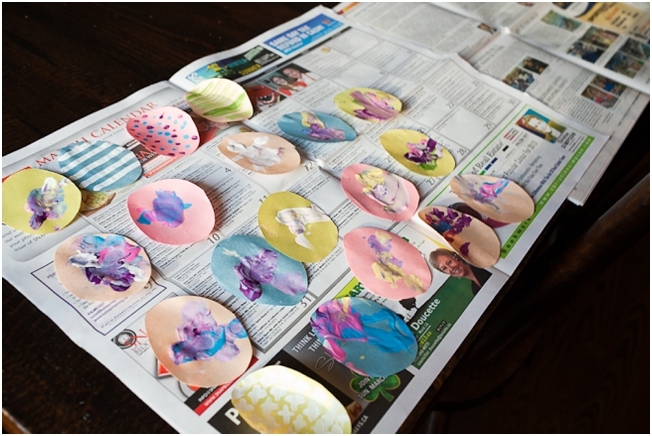 Step 3: Paint or decorate eggs! Let dry. Step 4: Using scissors, cut tiny slit at the top of each egg. 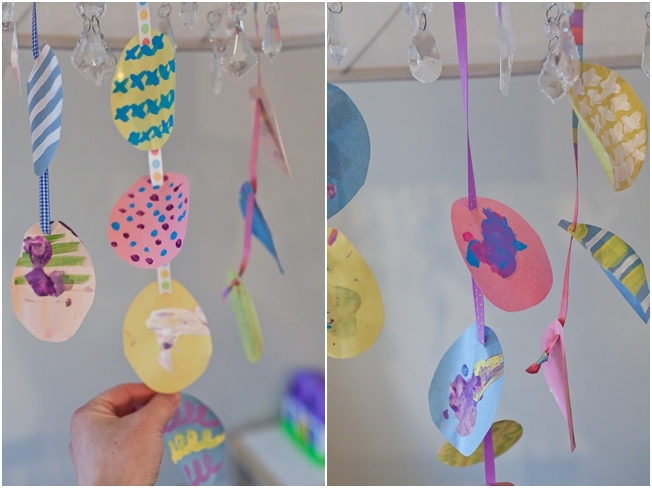 Thread eggs onto ribbon in groups (I did groups of 2, 3 and 4). Tie at knot at the bottom of ribbon to hold bottom egg on. 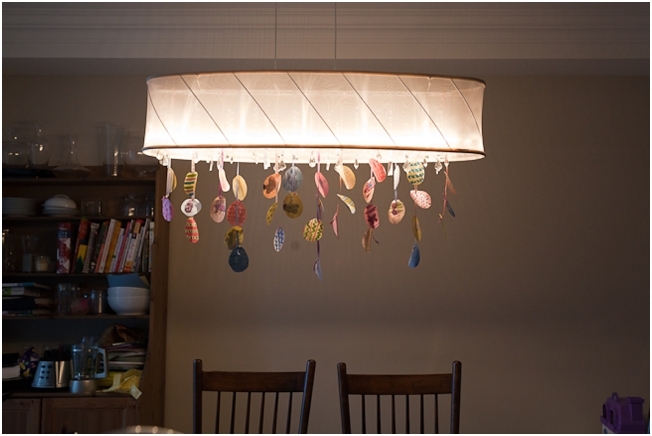 Hang from light fixture using a knot. Step 5: Prepare yourself for oohs and ahhs from family and friends.